The medium-sized 8NT325 Alpha F10 multi-sport scoreboard is designed for basketball and handball because of its ability to manage personal fouls, and player numbers and names. It also allows you to display up to 3 penalty countdowns and set results. This scoreboard is ideal for medium-sized halls on account of its high brightness LEDs. 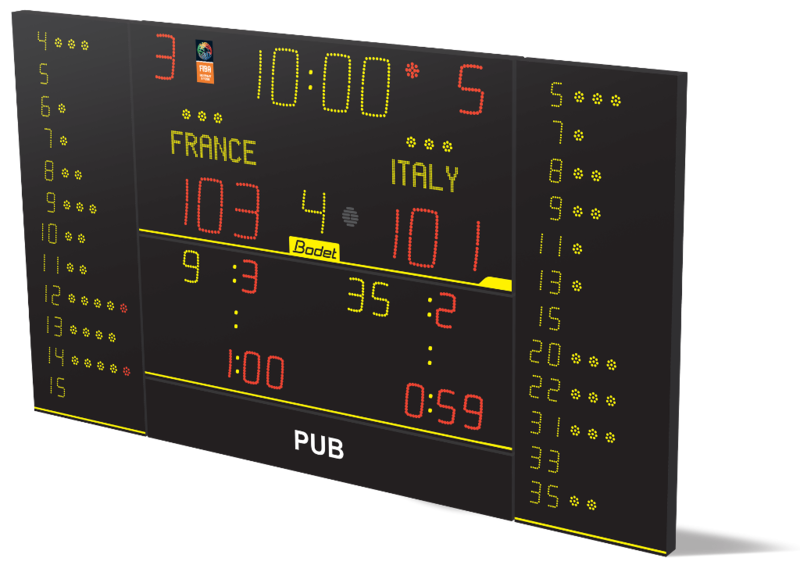 This scoreboard is designed for sports halls for regional and national competitions.